by Reed, John, Lenin, Vladimir Ilyich, Taylor, A. J. P.
Reed, John, Lenin, Vladimir Ilyich, Taylor, A. J. P.
John Reed conveys, with the immediacy of cinema, the impression of a whole nation in ferment and disintegration. 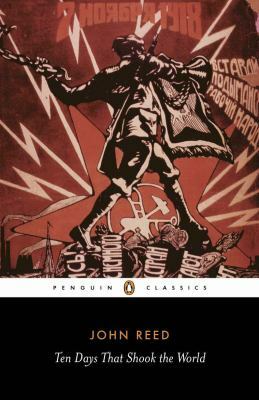 He gives a record of the events in Petrograd in November 1917, when Lenin and the Bolsheviks finally seized power.Reed, John is the author of 'Ten Days That Shook the World ', published 2007 under ISBN 9780141442129 and ISBN 0141442123. Loading marketplace prices 92 copies from $3.06 How does the rental process work?